Medium Duty Firebrick For Sale in Rongsheng Refractory is a kind of aluminosilicate refractory product with over 48% aluminum oxide (Al2O3) content. Medium Duty Firebrick is manufactured by dry pressed with raw material of high quality bauxite and burned under tunnel kiln. Medium Duty Firebrick has features of accurate dimension and high strength to fit the need for building all kinds of linings of kiln and furnace. 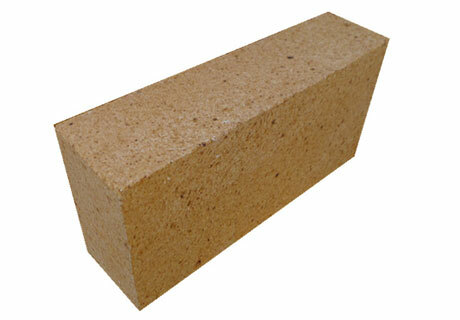 Medium Duty Firebrick is the best type of firebrick that can be used in firing layer and oven. Buy medium duty firebrick is very difficult to choose which one is the best and which one can be used where and for what purpose. 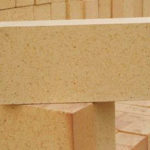 Medium Duty Firebrick for sale contains about 50% silica and 35% silica content. Due to the Medium Duty Firebrick heats up quickly in such good manner, it is the best choice to especially be used in ovens. When making pizzas, Medium Duty Firebrick is more efficient in conducting of heat. 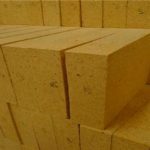 Medium duty firebrick has low thermal conductivity that can be able to save energy, which are usually used in position where there is extreme mechanical erosion or super high temperature like inside of wood kiln or furnace. Blast furnace, hot blast stove, hot metal ladle, steel ladle, tundish, heating furnace, soaking pit furnace, heat treatment furnace, refining furnace, reheating furnace, metal mixer furnace, cupola furnace and etc. Smelting furnace, reverberatory furnace and etc. Cement kiln, glass kiln, ceramic kiln, lime kilns, kiln car, tunnel kiln, and rotary kiln and etc. Medium Duty Firebrick for sale has 30%-48% Al2O3 content, 50%-65% SiO2 content and a small number of alkali metals, alkaline earthmetal oxides such as TiO2, Fe2O3 etc. Its mineral composition is usually mullite, quartz and glass phase. 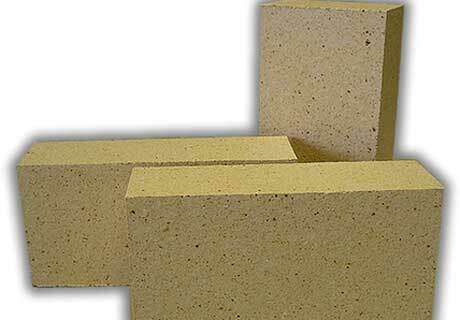 Medium Duty Firebrick is made by flint clay clinker and binder, through Crushing, Mixing, Shaping, Drying and high temperature sintering. 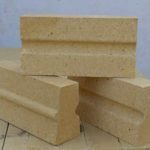 Fire brick is a kind of shaped refractory material that is used to build all kinds of linings of furnace, stove and kiln at high temperature withstanding variety of physical shock and chemical erosion. Refractory brick are also called refractory blocks with all kinds of shapes can be customized according to customers’ special requirement based on Rongsheng Refractory professional engineers and advanced high heat refractory manufacturing process technology. 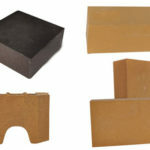 Standard Firebrick is widely used in various kilns because of its low price and general manufacturing process. Standard Firebrick is fired in down draft kiln and tunnel kiln and its general sintering temperature is 1360~1480 ℃. Medium Duty Firebrick needs to fit into each. If the bricks appear curve or have a very bad shape, there will be a gap on the firing layer and also some spaces between the firebricks. 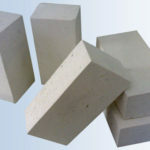 High Duty Firebrick contains high alumina content, which is designed and manufactured for super high heat and high duty applications such as furnaces to withdraw very strong physicochemical erosion. Buy High Quality Medium Duty Firebrick For Sale From Rongsheng Kiln Refractory Materials Supplier At Low Cost To Build Kiln & Furnace Linings With High Mechanical Strength And Good thermal shock resistance.